Speed and control. The high performance digital SLR for creative photographers. A 10.1 Megapixel Canon developed CMOS sensor and DiG!C III Image Processor combine to deliver superb image quality with low noise and natural colour. Key new features include the EOS Integrated Cleaning System and Live View Shooting (with AF capabilities). 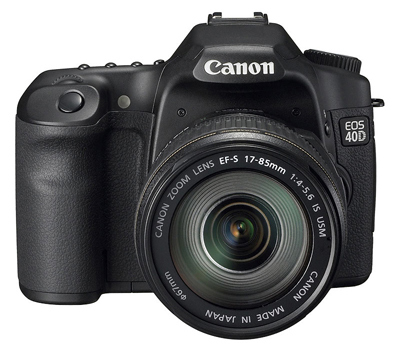 With the ability to capture up to 6.5fps in incredible 14-bit colour, the EOS 40D is the only option for the enthusiast photographer.